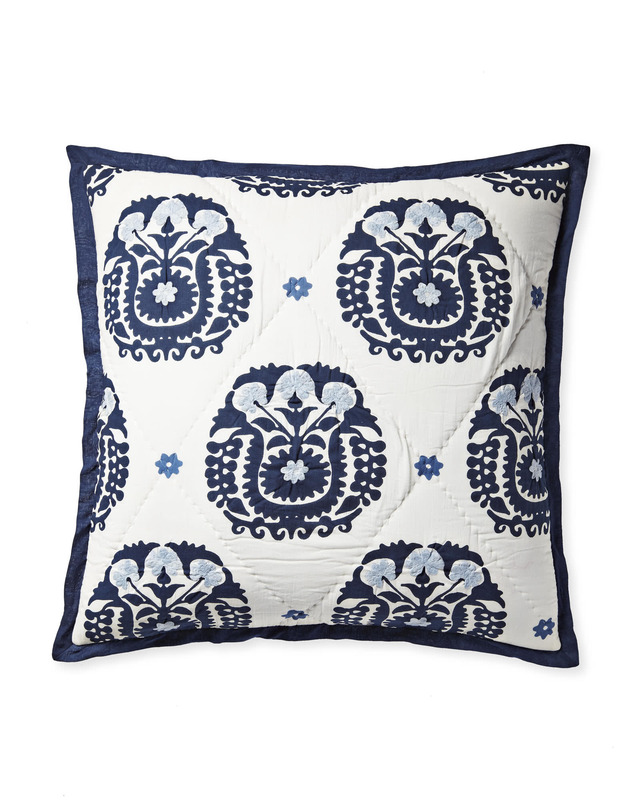 Suzani Quilted ShamsSuzani Quilted Shams, Navy alt="Suzani Quilted Shams, Navy"
Print Based on the gorgeous designs of Suzanis – decorative textiles that date back to the late 18th and 19th centuries – this won our hearts immediately. 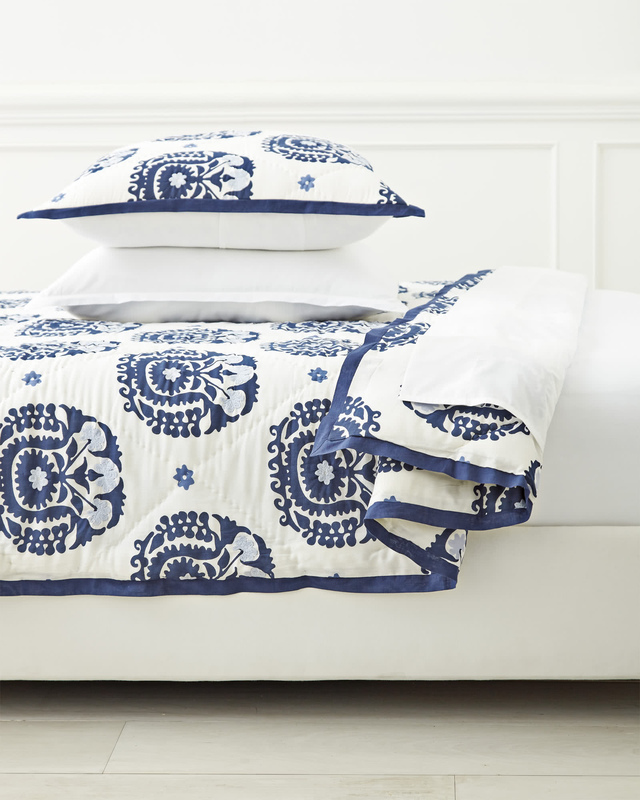 The floral motif adds just a hint of the exotic, while intricate hand-embroidery nods to the original tradition. Cotton batting gives it a lovely, layerable weight. 100% cotton with cotton fill.